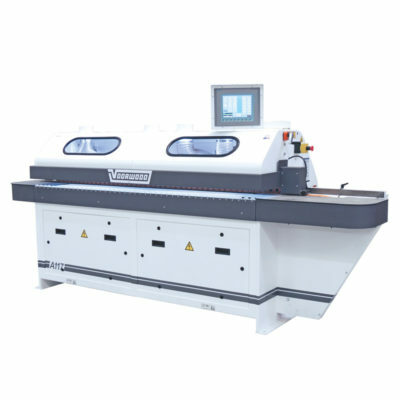 Double-End Tenoner Series: Shapes and sands/polishes two edges in one pass of hardwood, MDF, and solid resin based substrates. 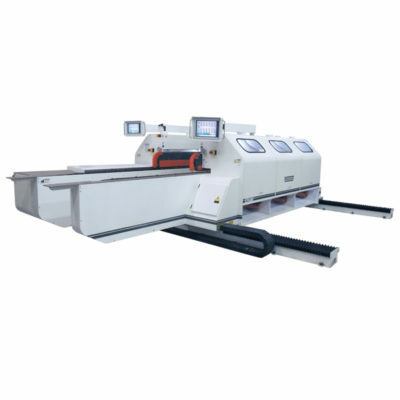 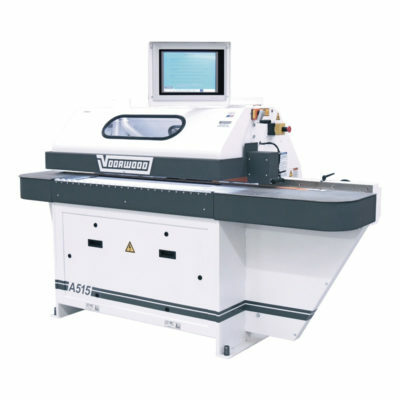 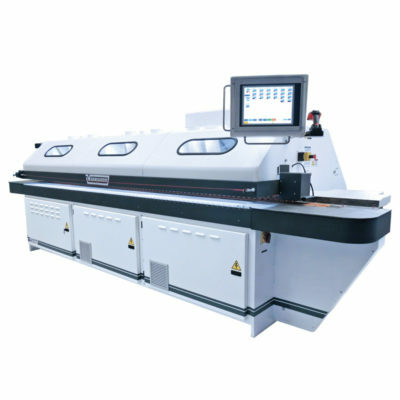 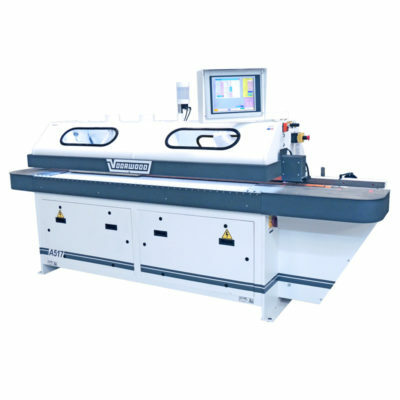 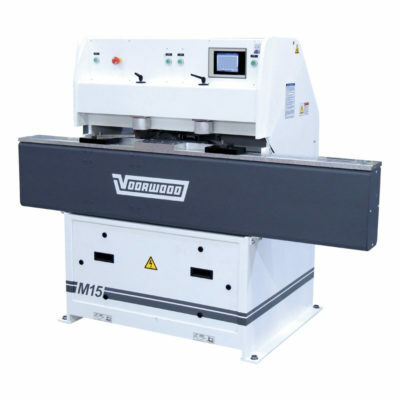 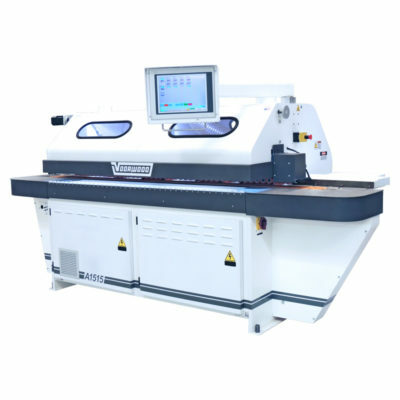 Capable of CNC (Arch) contouring during the pass-through process. 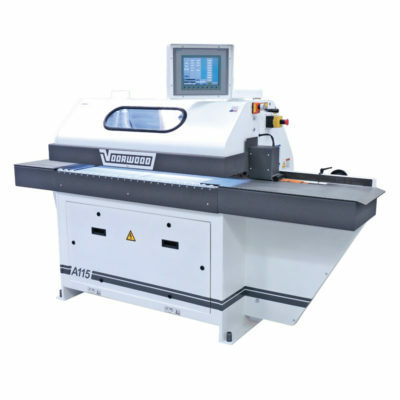 Single-End Tenoner Series: Shapes and sands/polishes edges in one pass of hardwood, MDF, and solid resin based substrates. 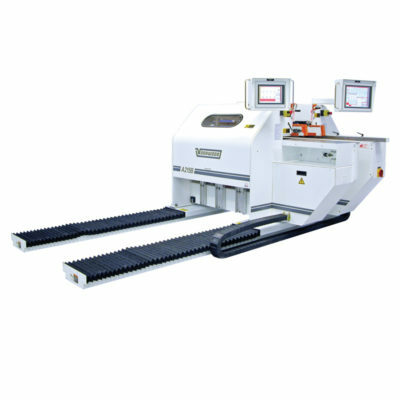 Capable if CNC (Arch) contouring during the pass-through process. 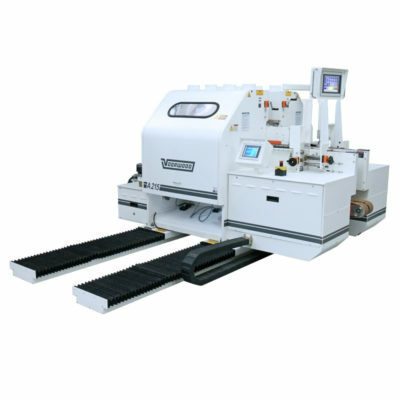 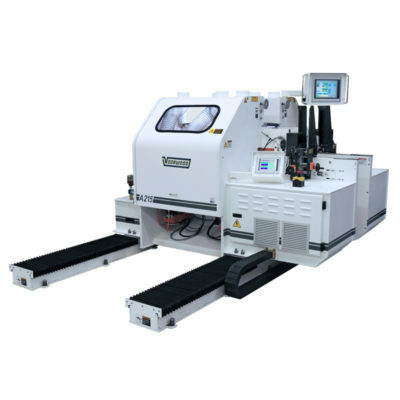 Axis configuration allows for best repeatability • Processes smallest parts in industry (1.50” W x 3.50” L) • Servo controlled automatic positioning • Automatic tool changer • Capable of producing contoured parts (arches) • Designed to meet your R.O.I. 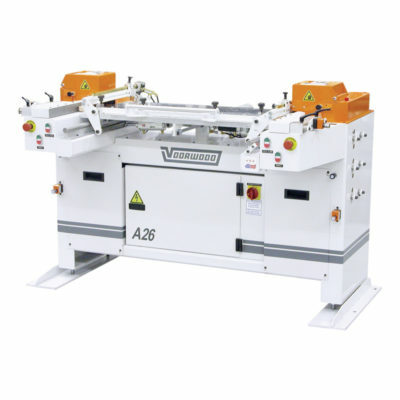 A26 Cope Shaper: Designed to shape single or multiple parts in one pass. 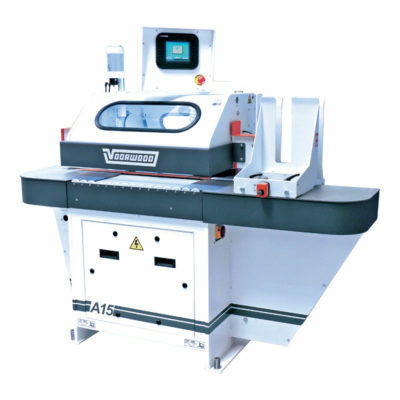 Parts can be quickly transferred from left or right shapers for end-to-end cope cuts. 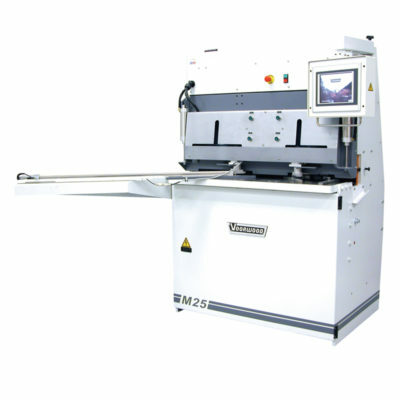 Both edge guide assemblies are removable which allows cope cuts on parts longer than 36 inches. 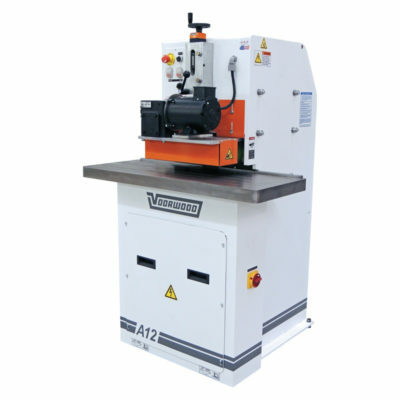 A12 Miter Lock Shaper: Profiles precision miter lock joints from 90° to 150° in solid wood and plywood substrate in one pass. 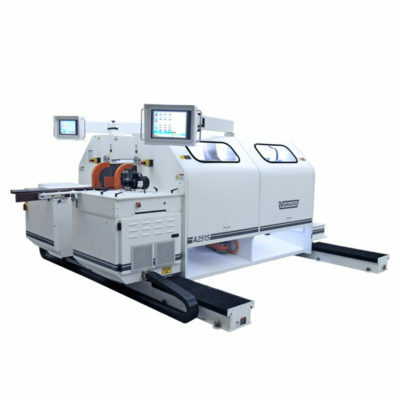 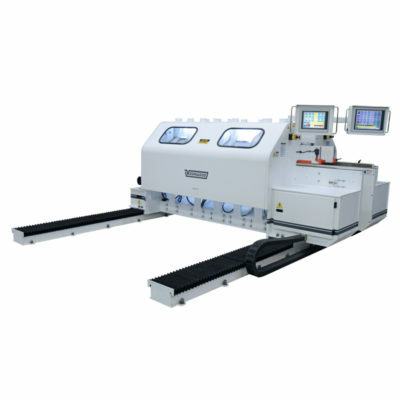 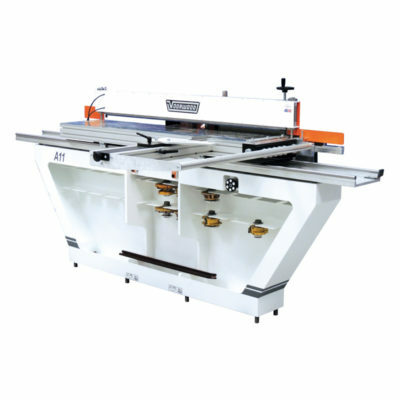 Miter Machines: Designed to rapidly create mortise and tenon cuts at 0, 45 and 90 degrees for face frames and standard miter doors.